First you’ll want to set the tone with some music and light candles everywhere. Create a romantic dinner table for two and dust of your finest china, fancy napkins and long stem wine glasses. Add a classic rose center piece and sprinkle around fresh red rose petals on the table. Pour glasses of wine (not the cheap stuff, it’s Valentine’s Day!) for you and your loved one. Now its time to get grilling! Nothing says love like a heart…of Romain lettuce! 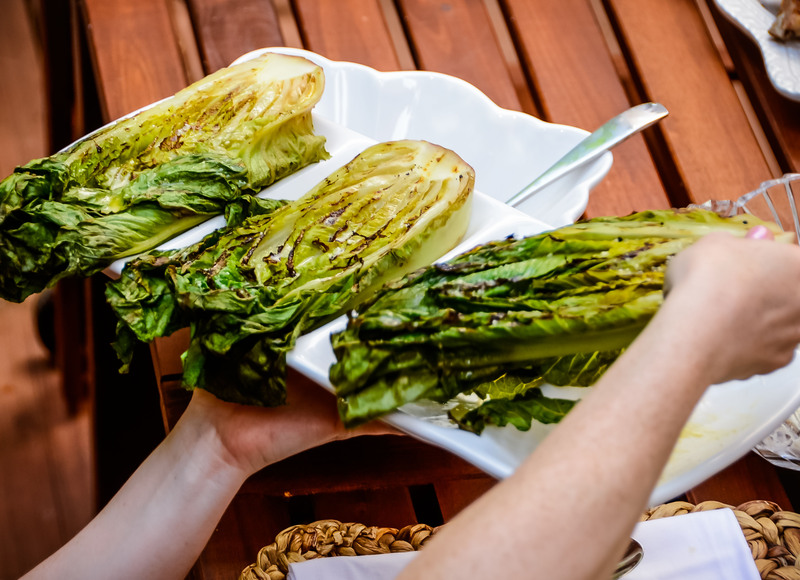 Start off your romantic dinner with some Grilled Romaine Salad with Ceasar Vinaigrette dressing. The lettuce core remains crunchy, the leaves become charred and the overall dish becomes delicately sweet. Your main course should be something special that you might not make every night, we suggest Grilled Salmon, Baby Potatoes and Asparagus. Midway through the meal you may be thinking…is food my true love? Now it’s time for everyone’s favorite part of the meal…DESSERT! 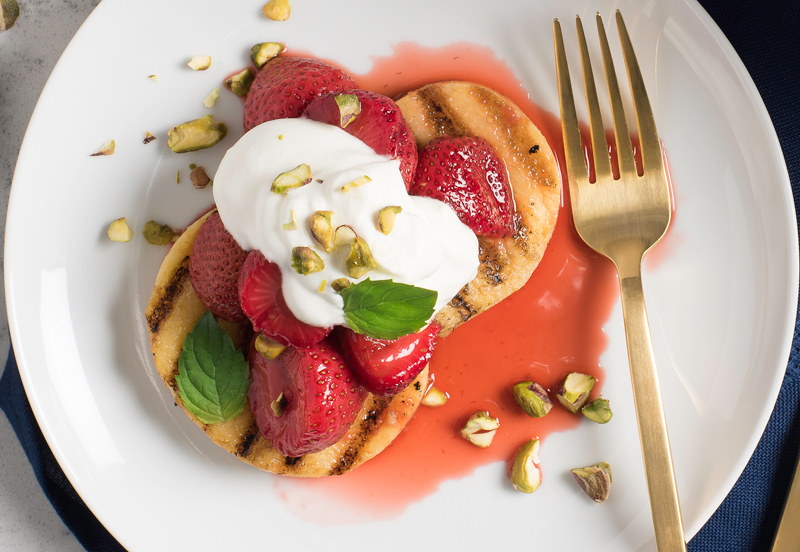 Grill up some Polenta with Strawberries and Mascarpone Whipped Cream, this will become a Valentine’s Day tradition for the two of you! After your spectacular homemade meal is over, snuggle up on the couch and binge watch to your favorite show and enjoy each others company.